It’s Game Night in Vancouver! 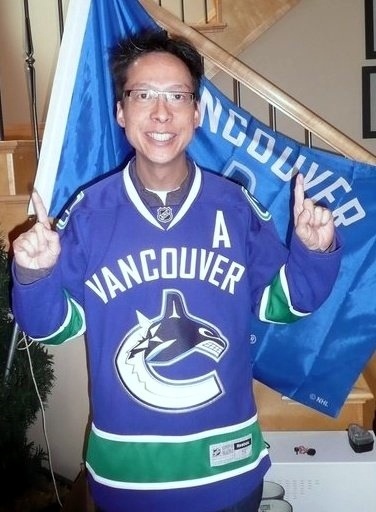 Warren Wong is a Human Resources executive who lives in Vancouver, Canada with his Canucks loving wife, daughter and son. In his spare time, Warren rides for Glotman-Simpson Cycling Club, raising money to fight pancreatic cancer. Here are Warren’s thoughts about hockey and entertaining with friends. I have been watching hockey since I can remember. Probably since the Canucks entered the NHL. When I was a kid I use to hang out at the visiting team’s hotel – the Vancouver Hotel – and ask for autographs from the players. I have pictures taken with Guy Lafluer and Steve Shutt, from the Habs, for example. I watch all the Canucks games; regular season and playoffs. However, I am more religious about not missing a playoff game. For the playoffs my daughter convinced me to create a Canucks “shrine” in our family room. We have a “Go Canucks Go” CBC poster in the living room window and the big Canucks flag in the entry. I’ve been known to drive around town pre and post playoff game with the flag in our SUV or in my convertible. My son and I watch and attend regular and playoff games. We got tickets and watched game 2 of the Sharks’ series when the Canucks won 7 – 2. My wife and daughter join in the excitement of playoff games and watch all the games on TV. My son’s birthday cake. Keeping in the spirit of the pursuit of the Cup. 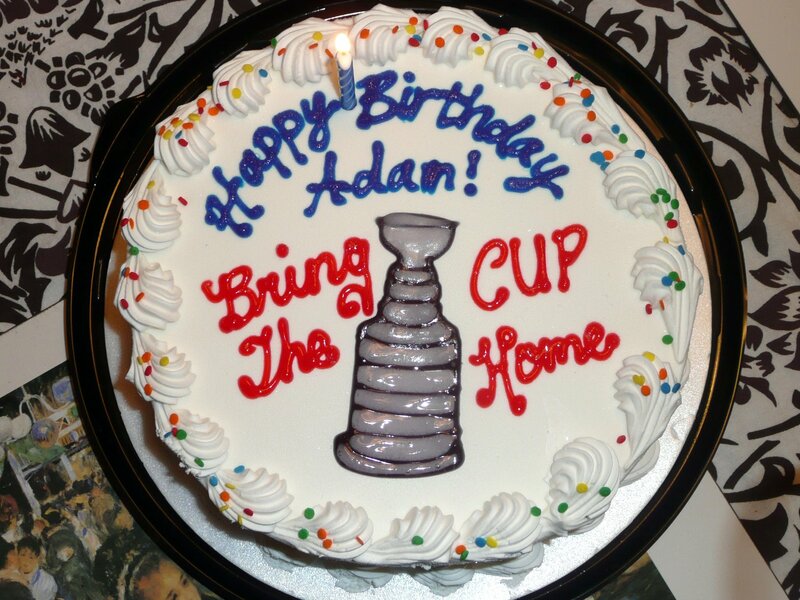 We hosted a small gathering with some close friends for game 1 of the 2011 Stanley Cup Finals. More often than not it’s the four of us and my son’s girlfriend. For most of the San Jose series my daughter’s boyfriend from California watched with us. He recently got interested in hockey. Since he is from northern California, I had wrongly assumed he was rooting for the Sharks. We have tickets for games 4 and 6 for the Canucks Road Game Viewing parties at Rogers Arena. There is a chance they could win the cup game 6. We don’t prepare any special foods for hockey nights, but I did think of buying a Canucks cake that I saw at IGA. If I have the opportunity I would probably buy a set off Canucks cupcakes that each has a Canucks players’ jersey number. We would have friends over for every game, but it’s hard to coordinate. If you are looking to satisfy your sweet tooth and impress your guests, Warren’s idea about a Canucks cake or cupcakes is a great place to start. If you are planning to seek out an IGA cake, try calling the bakery ahead of time to make certain your local IGA is making them. 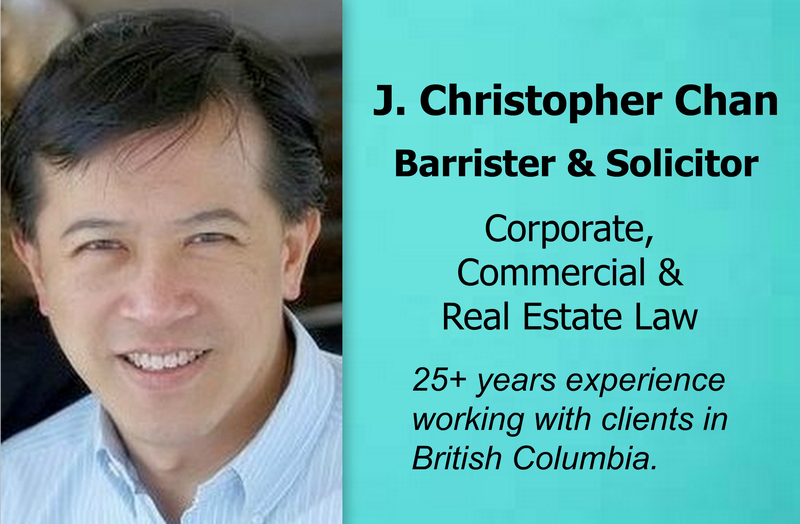 IGA has 41 stores across BC. 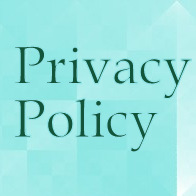 Also, ask if they can set one aside for you. 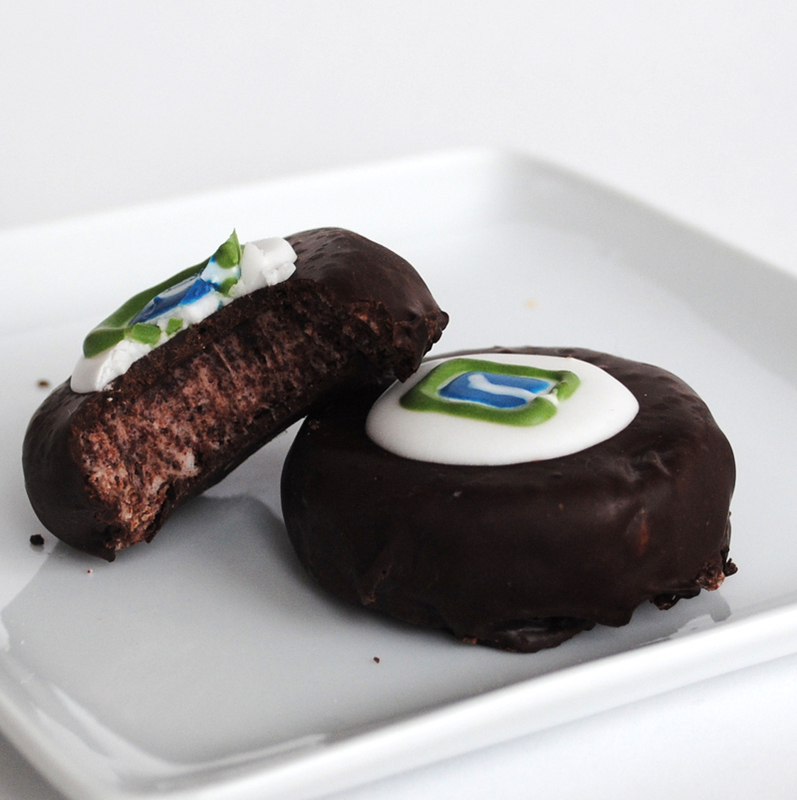 Other local bakeries and bakers are selling enticing Vancouver Canucks baked goods. Here are some favourites. Fratelli Bakery is selling cupcakes featuring each Canucks player. Thanks to Cakeonthebrain.blogspot.com for posting fabulous photos of these gorgeous cupcakes and the bakery. If you’d like to buy some, you might want to call ahead and see if you can get some set aside for you. 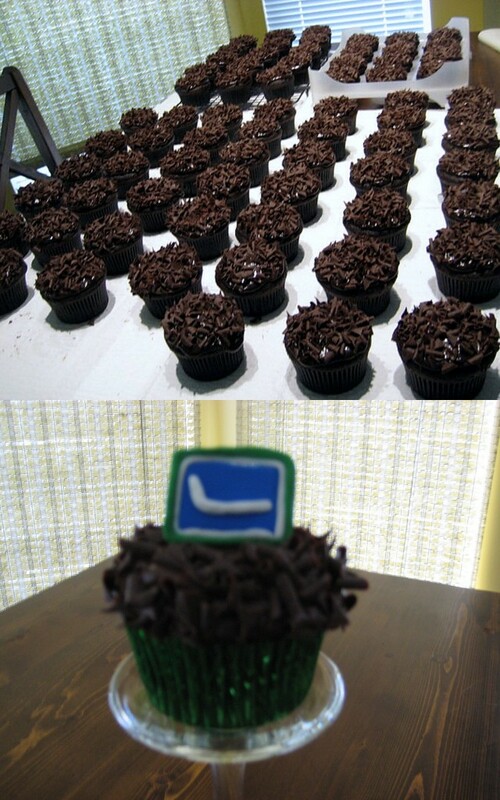 The Cupcakes stores are also selling Canucks themed Cupcakes until the end of the series. If you wish to place an order please email them at order [at] originalcupcakes.com and let them know which store you shop at. Sweet Temptations bakery in Richmond makes a delicious Vancouver Canucks themed Supermoist Chocolate Cupake. They are melt in your mouth delicious, without being too sweet. If you really want to impress your guests with a tasty cupcake, these cupcakes are the way to go. You can find them at Kitsweettemptations.com or on Facebook. These cake bites are about 1.5 inches wide, and are made with homemade chocolate cake and buttercream icing, and coated in real semi-sweet chocolate. The taste shows the quality of the ingredients, and the little pucks are just like creamy truffles. 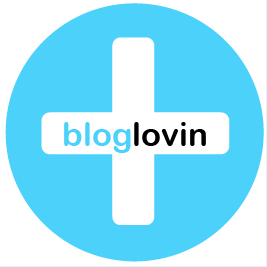 The logo is only about 1 centimetre long, so the little stick was drawn, painstakingly, with a toothpick. 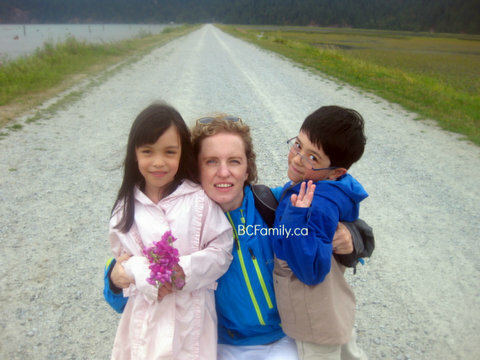 If you would like to contact Leanne, she has a website and can be found on Facebook. You can also meet her at the Tri-Cities Baker’s Community Market. 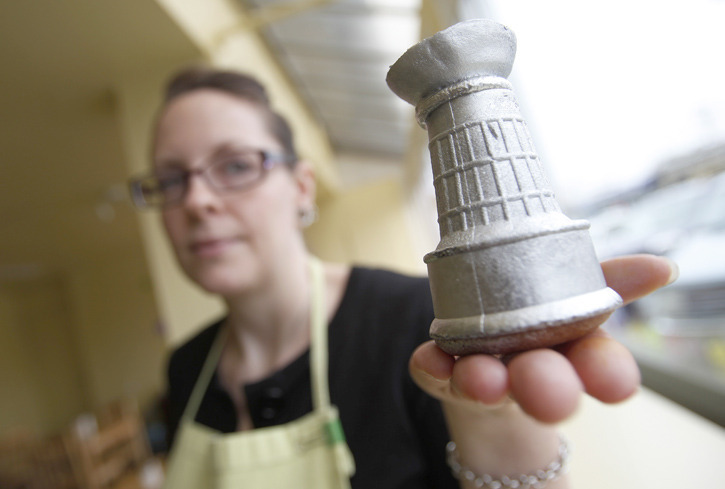 At Bell’s Cake shop in Steveston, Richmond they are making Stanley Cup cupcakes. You can read about the cupcakes in this Richmond Review article and find more information about the store on their website. What sports loving child doesn’t want to get an autograph from their favourite sports star? This NHL page has some tips for getting autographs from the Vancouver Canucks team members. Based on TV news stories, it seems that fans waiting at the airport are also able to get autographs. 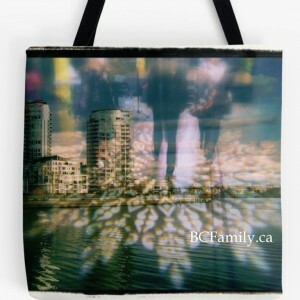 Do you have a Canucks flag for your car or foyer? 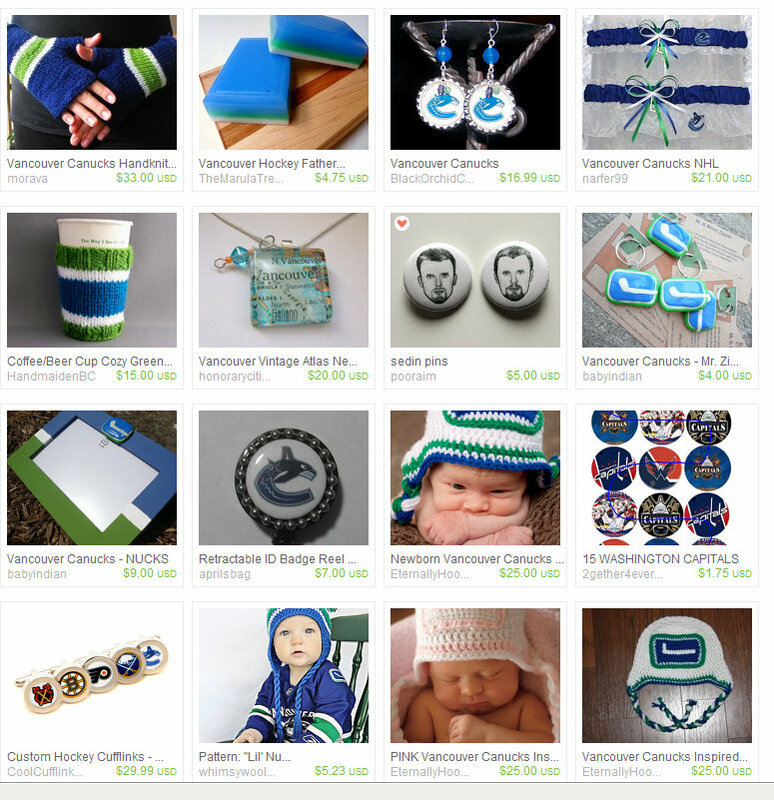 You can buy official Vancouver Canucks memorabilia online or you can buy handmade Vancouver Canucks items on Etsy.com. It doesn’t get more unique and one of a kind than that.